We are India's largest hotel network spread across 230 cities with 8500+ hotels offering standardized and hassle-free stay experiences at an unmatched price. From a single hotel in May 2013 to over 8500+ hotels at present, ours has been an exciting journey. Our aim is to become the world's most loved hotel brand. 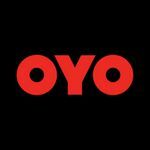 - Onboard Hotels & get them associated with Oyo. - Increasing the Supply side of Oyo. - Responsible for P&L driven decisions for the assigned area. - Identifying and finalizing new properties, and for maintaining a relationship with all stakeholders to run these properties profitably. - Responsible for end-to-end business development of the assigned area; includes planning and building short-term and long-term supply. - A cross-functional approach through coordination with multiple teams in inter and Intra geographies. - Creating a balance in inventory growth and demand to ensure optimization. - Proposes potential business deals by contacting potential partners; discovering and exploring opportunities. - 1+ years of relevant experience in sales and business development. - Field experience is mandatory. - Prior experience in managing cross-functional teams. - Experience in early-stage startup environments would be an advantage. - Focused and possess sales mindset. - Fluent communication and ability to manage situations on the ground. - Intelligent, enthusiastic and self-motivation driven. - Demonstrates high ethical values. - Reporting to BD - Head.